If you love generous portions, and also reasonable prices for the whole family to enjoy, then O’Murphy’s Restaurant & Pub in Montauk is for you. 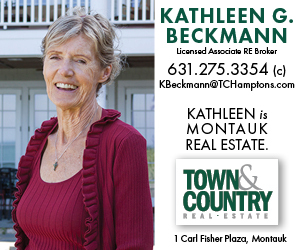 After many years of being located downtown in Montauk, they have moved to a larger location at the Tipperary Inn, at 432 West Lake Drive, in the Montauk Harbor area. They are now celebrating their 30th year in business, and now they can seat over 100 people in three large dining rooms, plus a popular outdoor deck area. 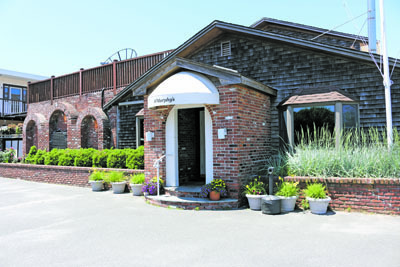 O’Murphy’s has always been known as one of the few restaurants in Montauk that has casual, family dining, where you can bring the kids and they even have their own menu. Open for breakfast (on weekends), lunch and dinner, O’Murphy’s has a plentiful menu for kids 12 and under, with their favorite specialties, for under $10. My dining partner and I could not wait to try the “new” O’Murphy’s, so we greeted owners Jan and Chet at the door, as we walked into the large bar area and saw many of our local friends. There are still the same Tiffany lamps hung over the bar area, giving it that friendly “pub” look. The restaurant is open and spacious, with lots of wood trim giving it a cozy feeling, and also an area for entertainment. We walked to peek at the inside dining rooms, the one on the patio with the big floor to ceiling windows, and finally the adjacent outdoor deck, which we chose, since it was a hot summer evening. 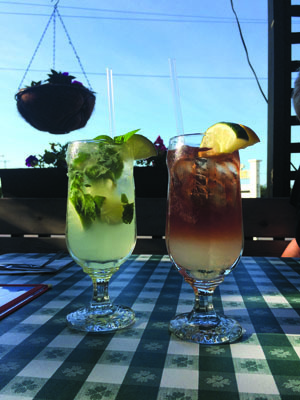 We looked over the extensive “Murphy’s Martini Menu,” where we selected a Mojito, with rum and fresh mint, and a Montauk Tea, with Absolut Vodka, lemonade, ice tea and lime juice. For martini lovers, the menu also included an “Apple Martini,” “Peartini,” and a “Montauk Sunrise,” made with Bacardi rum, Coconut rum, pineapple juice and Grenadine. With a name like “O’Murphy’s,” they also have a big selection of beers on tap, including their bestseller, Guinness, and also bottled beers. We perused the very extensive dinner menu, with numerous options for appetizers, pasta, poultry, meat and seafood. We decided to try the local Mussels and the Potato Pancake appetizers, plus the Montauk Beach Salad, the Porterhouse Steak and the Chicken Saltimbocca. Our waitress, Jen Harned, who has worked there for 25 years, brought us a heaping bowlful of gorgeous plump mussels in a creamy garlic sauce, with garlic bread, which was amazing. The potato pancake was crispy and topped with guacamole and few jumbo shrimp. 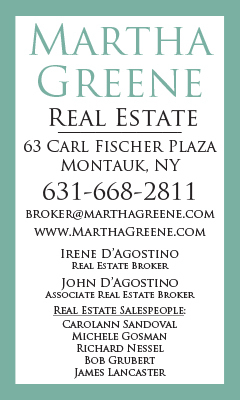 We later shared the Montauk Beach Salad, a delicious huge mixture of avocado, black beans, cranberries, feta, onion, tomato, cucumber and romaine lettuce. 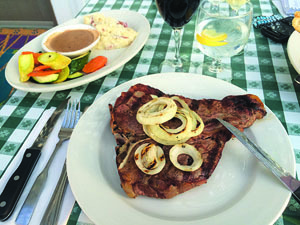 The 24-ounce Porterhouse Steak was huge, tender and juicy, and a bargain at $32, topped with grilled onion rings and a green peppercorn sauce. My Chicken Saltimbocca was also a large portion, sautéed with sliced prosciutto ham and diced tomatoes in a sherry wine sauce, topped with mozzarella, and served over linguini with garlic bread. Kudos to Chef Ernesto Sanchez and Chef Francisco Estrella, and kitchen cooks Gevanny, Daviel, Ellie, Gabriell, and Raymer. Other popular dinner items include the Shrimp Scampi, Grilled New York Strip Sirloin Steak, Barbecued Baby Back Ribs, and the Spicy Tuna, pan-seared over a salad of field greens, walnuts and apple slices, with an Asian sesame ginger dressing. O’Murphy’s also features fresh fish, and in July they will be offering delectable striped bass from the Montauk Docks! O’Murphy’s also has great lunches and lunch specials, for $10.95, including Meatloaf Platter, Tuna or Salmon Cakes, and more. Try their famous O’Murphy Burger, Steak Sandwich, Grilled Chicken Sandwich, Fish n’ Chips, Fish Tacos, Quesadillas, wraps, melts, and panninis. With the generous portions at this restaurant, it may be hard to fit in dessert, but they have a wonderful list of creative options. We tried their warm home baked blueberry pie, topped with vanilla ice cream, which was rich and tasty. There is also a fabulous Brownie Sundae, Bailey’s Heath Bar Ice Cream Cake, and Molten Chocolate Cake, as well as others. O’Murphy’s has added wonderful breakfasts on Saturday and Sunday, from 7:30 a.m. till 11:30 a.m. They have a breakfast special for $13, with 3 pancakes, 2 eggs, meat, home fries and toast. You can create your own omelet, and enjoy pancakes, waffles, eggs any style, French Toast, and more. They serve lunch 7 days a week from 12 Noon till 4:30 p.m., dinner 7 days from 5 p.m. with dinner specials, and the bar is open with their great martinis and beers. Starting Sat. July 11, vocalist and acoustic guitarist Michael Dann will be there every Saturday and Sunday night, performing for guests from 7 p.m. till 11 p.m., throughout the summer. So for a great meal, for the whole family, come down to O’Murphy’s Restaurant & Pub at the Tipperary Inn, 432 West Lake Drive, Montauk. Call 668-5005, or visit www.OMurphysPub.com.